Infection rate. Human infections are found only from Korea and China. Prevalence is unknown. Life cycle. 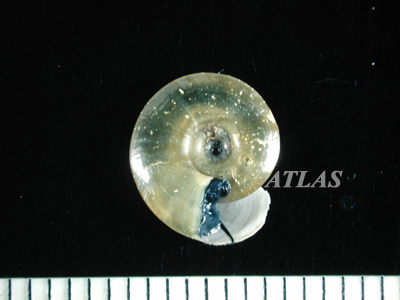 The first intermediate hosts are freshwater snails, Hippeutis cantori and Segmentina (Polypylis) hemisphaerula. The second intermediate hosts are tadpoles and frogs. House rat is the natural definitive host. Terrestrial snakes, such as the grass snake Rhabdophis tigrina are regarded as the paratenic host. Mice, rats, and guinea pigs have been found to be susceptible laboratory hosts. Morphology. 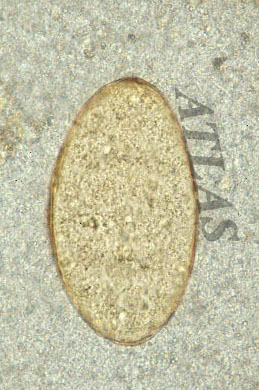 The adult worms are conspicuously bisegmented, spoon shaped, 0.8-1.2 by 0.4-0.5 mm in size, and well developed ventral concavity of the forebody. Tribocytic organ is approximately circular or elliptic, about 1/3 length of the forebody, and lying just behind the posterior border of the ventral sucker. The eggs are golden yellow in color, elliptical with thin shell, asymmetrical, operculum inapparent, no wrinkles, and 86-99 by 55-63 mm in size. Pathology and clinical symptoms. Comparing it with other intestinal flukes such as heterophyids and echinostomes that cause only mild gastrointestinal troubled unless severely infected, N. seoulense seems to be more harmful for their definitive hosts. The human case complained of severe symptoms, including headache, epigastric cramps, fullness, discomfort, pain, and sudden onset of fever. Diagnosis. 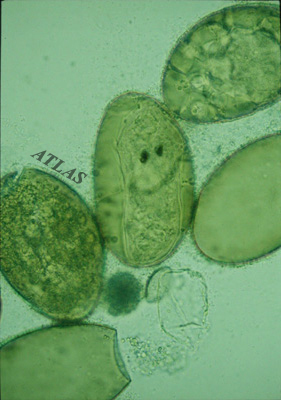 The diagnosis is based on the recovery of the typical eggs. Prevention. Ingestion of raw or improperly cooked flesh of snakes or frogs should be avoided. Treatment. The drug of choice is praziquantel (Distocide®) as a single 10 mg/ kg dose. Comments. Differential diagnosis is required from the eggs of other trematodes or cestodes, particularly from those of echinostomatiids, fascioliids, Paragonimus, Diphyllobothrium, etc. 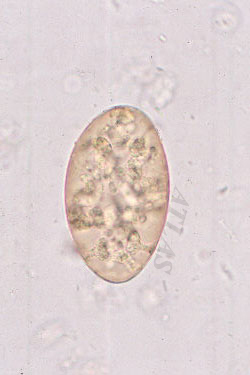 A Neodiplostomum seoulense egg containing a fully matured miracidium with two eyespots. 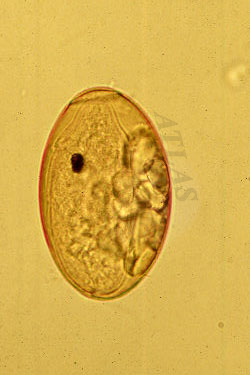 The egg was obtained by embryonating in the laboratory. (Seo et al. 1988. Korean J Parasitol 26:179-188). 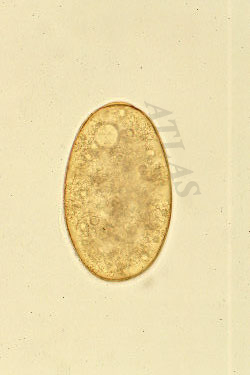 Egg of Fasciola sp. from human. 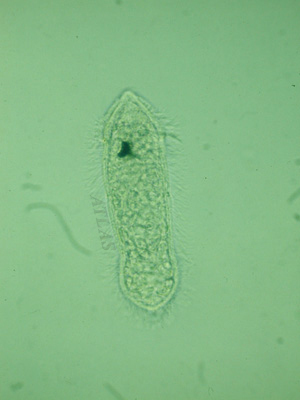 Cercaria of Neodiplostomum seoulense, shedded from a planorbid snail, Hippeutis cantori. 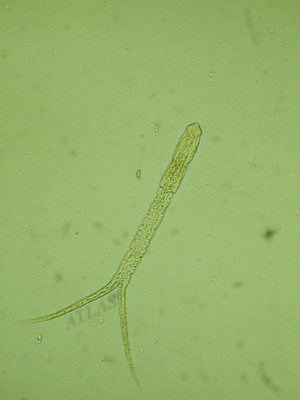 Miracidium of Neodiplostomum seoulense. Note a crescent-shaped eyespot and the cillia covering surface. 119 um long and 34 um wide. Unstained. Miracidium of Neodiplostomum seoulense, stained by silver impregnation method. Note the epidermal plates arranged in four rows. (Seo et al. 1988. Korean J Parasitol 26:179-188). 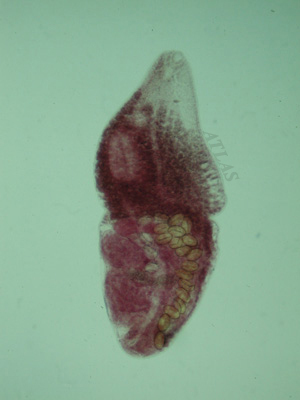 Neodiplostomun seoulense, lateral view, recovered from an experimental rat. Acetocarmine stained. 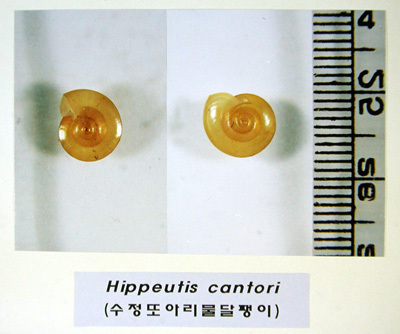 Hippeutis (Helicorbis) cantori, collected at a rice paddy, Kyunggi-do, Korea. 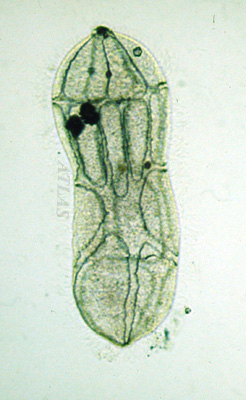 The first intermediate host of Neodiplostomum seoulense. 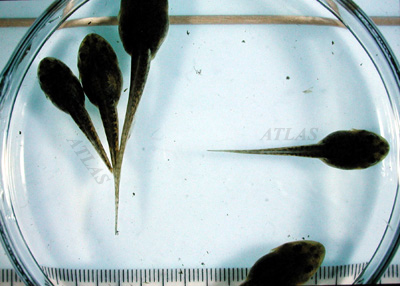 Tadpoles of a frog, Rana nigromaculata. It serves as the second intermediate host of Neodiplostom seoulense. 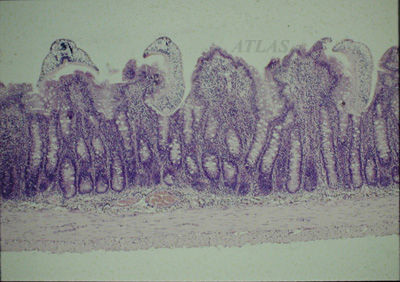 A pathologic section of rat duedenum infected with Neodiplostomum seoulense. H & E stained.